Photos by Corine Vermeulen. Text by Placement. In the late 1950s and early 1960s, a major urban redevelopment project on Detroit’s east side created Lafayette Park, a planned community that is today one of the city’s most racially integrated and economically stable neighborhoods. Lafayette Park was built on land that was once a densely populated working-class African-American neighborhood called Black Bottom, after the marshy bottoms at the source of the River Savoyard, which was buried when Detroit was settled. Classified as a “slum” in the 1940s, the neighborhood were razed and left vacant until the mid-1950s, when Chicago developer Herbert Greenwald made a successful proposal to develop the land with architect Mies van der Rohe, urban planner Ludwig Hilberseimer and landscape designer Alfred Caldwell. Three high-rises, 186 ground-level townhouses and a large park were completed by the early 1960s. In 2009 and 2010, we visited residents of Lafayette Park with photographer Corine Vermeulen while researching our forthcoming book Thanks for the View, Mr. Mies. Vermeulen’s portraits of townhouse owners in their homes appeared in the New York Times. Here we present the corollary to that series: tenants of the Pavilion and the Lafayette Towers in their apartments. Vermeulen’s portraits are accompanied by Lana Cavar’s photos of the views from each apartment window and by excerpts from the interviews we conducted. Many of the tower residents are retired or divorced people looking to scale down or young people who aren’t yet settled — often law, medical or art students, or single professionals saving to buy a home. There is also a solid contingent of long-term renters who have been there for 15 years or more. The Pavilion features a small convenience store on the ground level, a beauty parlor and a business center. On Friday mornings there are donuts and coffee in the lobby for tenants, and regular holiday-themed events are held throughout the year. Both the Pavilion and the Lafayette Towers have fitness rooms and outdoor pools; the Lafayette Towers pool, located on top of a low, shared parking structure, offers a spectacular view of the buildings themselves. The Pavilion has consistently high occupancy rates and a generally positive atmosphere, but the Towers has seen a high turnover in building staff and tenants since new owners bought the complex in 2008, and it is currently facing foreclosure. In his essay on plate glass, Richard Sennett describes the relatively recent technological advancements that made it possible to build walls of glass, and the corresponding modern sensation of “fully apprehending the outside from within, yet feeling neither cold nor wind nor moisture.” 2 At the ground level, this translates into a feeling of intimacy with wildlife and plant life. In the high-rises, it’s as if you’re suspended in the sky; the environment can shift radically from one moment to the next. Architect and former Lafayette Towers resident Christian Unverzagt described living on the 16th floor as having “a relationship … with weather and major systems,” making it possible to watch storms coming up the river from the south or down from the suburbs in the north. A rainstorm that seems normal at ground level can be experienced on the upper floors as an impressive force of nature barreling across the landscape. Still, the windows provide a unique perspective on Detroit. North and east, the view extends for miles across a flat urban landscape — you can see smoke rising from the country’s largest incinerator two miles to the north; the four vacant Brewster housing project buildings where many Black Bottom residents moved after they lost their homes; the streets awkwardly re-organized around the freeways cutting through downtown. One resident said she preferred the north view at night when she didn’t have to see the abandoned buildings, and would prefer a view across the river, but artist and former resident Kevin Beasley said looking north gave him a sense of potential: “you get to really see the city for what it is.” A corner apartment in the West Tower affords a choice of views, south across the Detroit River to Canada, or west toward the downtown skyline, which exemplifies the current state of the Detroit economy: a car company (GM headquarters), a health care company (Blue Cross Blue Shield), a casino, various detention facilities, two sports arenas and some vacant buildings. The East and West Towers have apartments that face the grid of windows on the opposite building. In her remarkable documentary film, Janine Debanné interviews a tenant living in one of these apartments who would regularly dance in front of her window, performing for her neighbors in the opposite tower. 3 The dancer was familiar with the rhythm of the lights coming on and off in the apartments across the way and felt recognized by her audience. Who needs Broadway, she says, when you have the West Tower? This work appears in the book Thanks for the View, Mr. Mies, by Danielle Aubert, Lana Cavar and Natasha Chandani, recently published by Metropolis Books. Moisés Puente, ed., Conversations with Mies van der Rohe. New York: Princeton Architectural Press (2008), 14. Richard Sennett, “Plate Glass.” Raritan Reader, Ed. Richard Poirer. Rutgers University Press (1990), 352. Janine Debanné’s film, M1 UR-Mich-1-1, was screened at a festival in Detroit in 2006. Her essay “Claiming Lafayette Park as Public Housing” (in CASE: Lafayette Park Detroit, Ed. Charles Waldheim; Prestel, 2004) provides a valuable account of the demographic shifts in the Lafayette Towers up through the early 2000s, including a period in the late 1990s when the towers were opened up for Section 8 housing. Photos by Debanné will appear in our forthcoming book, Thanks for the View, Mr. Mies. Kiyonori Kikutake was one of the most gifted and influential of the Metabolist generation that dominated postwar Japan. His architecture remains as powerful as ever. The evolution of Mies van der Rohe’s architectural philosophy, culminating in his design for the Seagram Building. The late work of Paul Rudolph deserves renewed attention. A leading historian focuses on the architect’s projects in Southeast Asia. Placement is a transient, site-specific project by graphic designers Danielle Aubert, Lana Cavar and Natasha Chandani. Corine Vermeulen is a Dutch artist who has been working and living in Detroit since 2006. 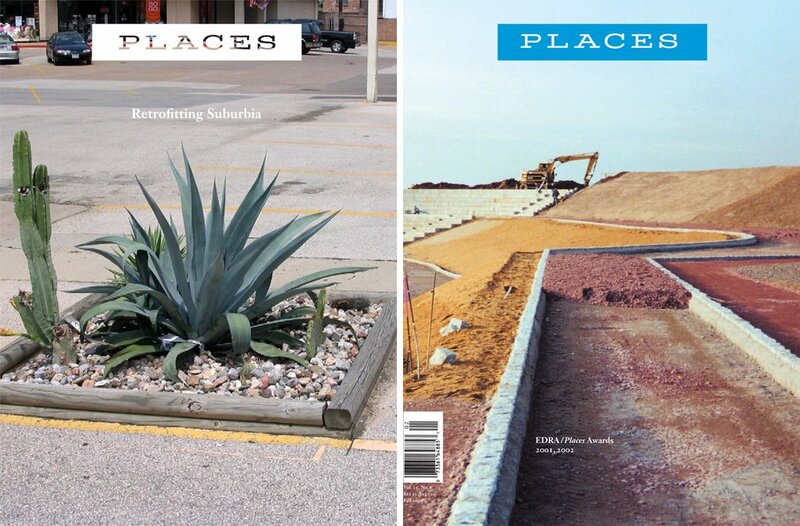 Read more on Places from books published by Metropolis.